Big breakfast from the 100% vegan Bonobo Café in Aberdeen. 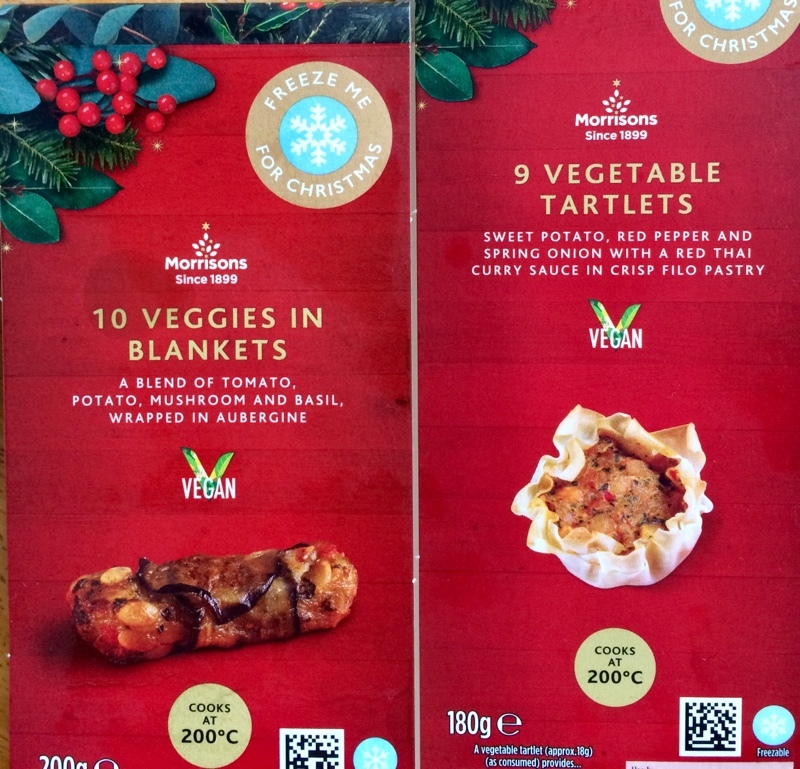 Morrison’s Veggies in Blankets and Vegetable Tartlets. Labels below. Blankets are the favourite though they’re both very good!